Newer: » Mari Magaña is the new Reina del Carnaval! 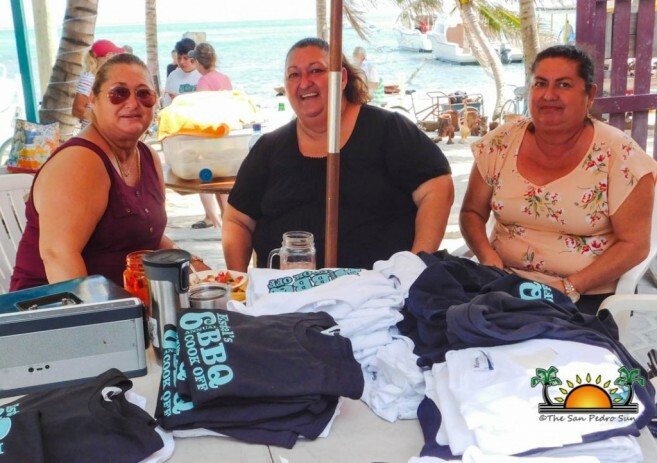 Estel’s 6th Annual BBQ Cook-off Tournament attracted hundreds to taste the most finger-licking BBQ on the island. Held on Saturday, February 4th, this year’s event featured eight grill masters: Jim Gochenouer, Amy Knox, Charles Worthington, Alli Rush, Chris Aycock, Jennie Staines, Kevin Urbina, and Rick Saager. 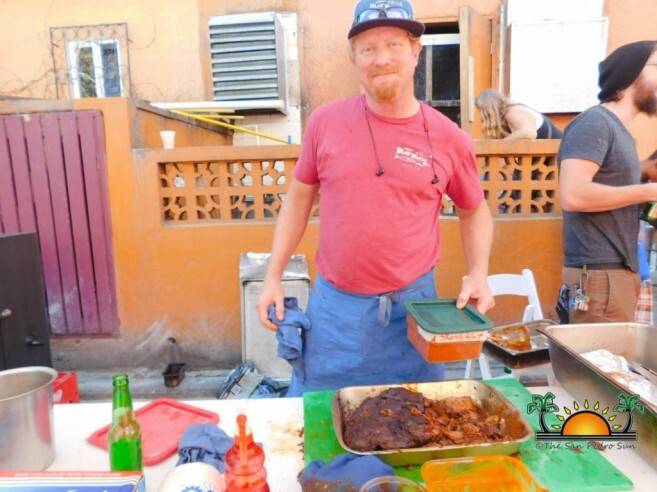 With more than 200 tickets sold, the crowd eagerly awaited tender ribs and brisket smoked over fires, along with Estel’s famous baked beans, coleslaw and handmade flour tortillas. 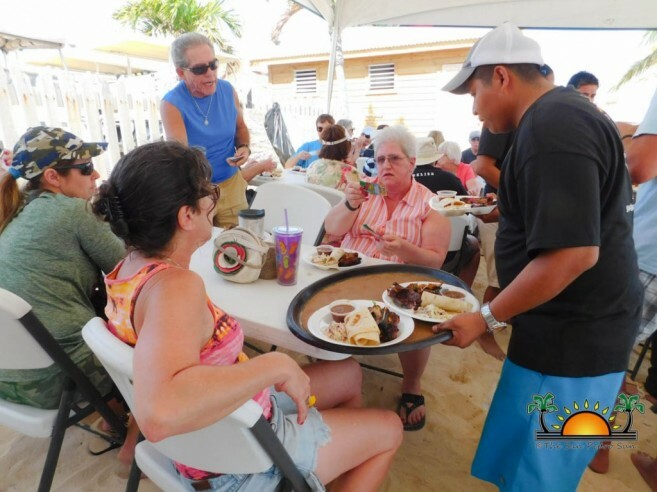 The tournament also offered beer and drink specials, and guests could vote for their top three favorite ribs in the ‘People’s Choice’ category. 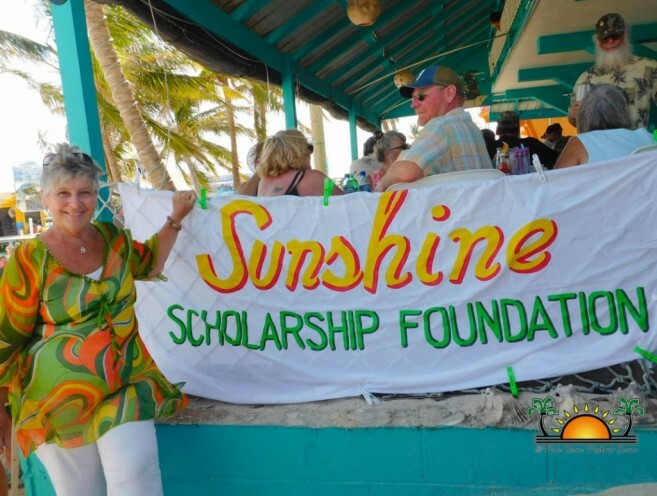 The annual event is more than a competition, as it also serves to raise funds to benefit the Sunshine Scholarship Foundation. 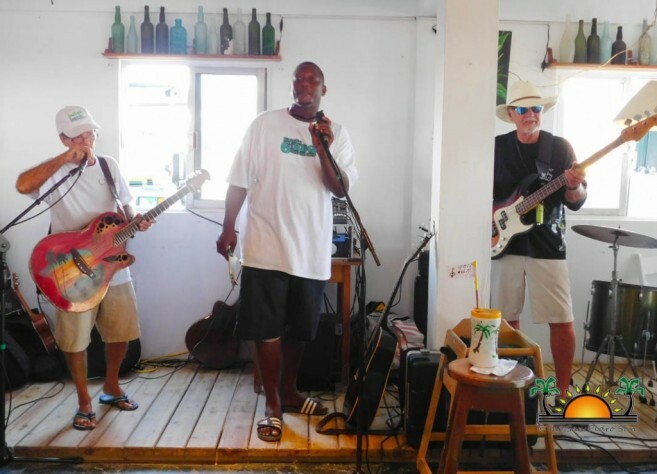 Both locals and visitors came out to help assist the Foundation, which supports island youth by providing educational scholarships within the community. A panel of seven judges: Rebecca Coutant, Cease Duckwall, Kelly McGuire, Kendall Beymer, Macarena Rose, Susan Bailey, and Erik Winning, had the difficult task of selecting the top three best BBQ ribs. While the judges made their decision, musical entertainment set the tone for BBQ lovers to enjoy the picture perfect weather. To further help the Foundation, 50/50 raffles were sold, and many happy winners had the option to keep their split prize or donate it back to the Foundation. After much deliberation, the awards for People’s Choice were announced. Coming in third place was Alli Rush, while Charles Worthington took second place. Jim Gochenour swept first place, gaining the trophy and medal for People’s Choice. The top three prizes for the 2017 Grandmaster (Judge’s Choice) awards followed. Amy Knox took second place, while Jim Gochenour graciously accepted his third award of the day. To the sound of drum roll, MC Barrington announced the 2017 winner: none other than, Charles Worthington Jr. himself! 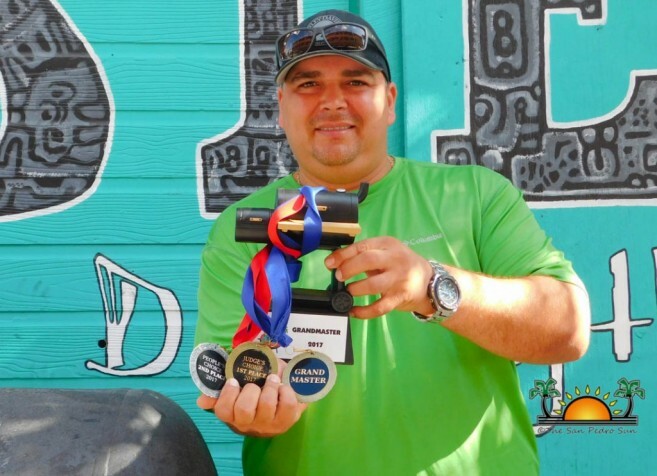 Worthington shared his love for BBQ. 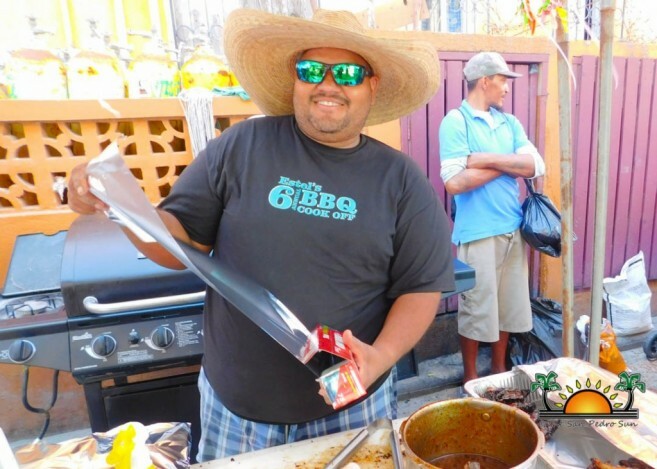 “BBQ is something that comes natural to me. Every year, I try and improve my product. I want the audience to taste what I put a lot of love into. It was fun, as it is every year, and everything we did was for a positive cause. On behalf of myself and Estel’s, we thank everyone who came out,” said Worthington. 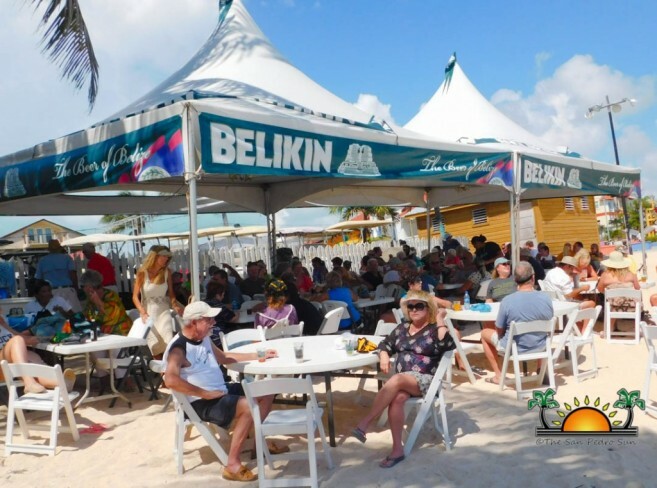 The event was a complete success, and Chairlady of the Sunshine Scholarship Foundation, Eve Dirnback, was more than satisfied from the turn out. “I feel wonderful because there was a large turnout. I feel that it was the best we’ve done so far. We are very willing to help out our island youth, and make education accessible to everyone. I thank Estel’s Dine by the Sea, Charles, and their wait staff for their support. We will continue to raise funds and hopefully our next one will be a success too,” said Dirnback. Jennie Staines grills the competition at Estel’s 5th BBQ Cook-off!